I am currently having a couple problems with my installation but one of them is not helping matters - while I can access http://setup.ooma.com only the "Ports" selection under "Device Information" returns any information. The ooma hub's IP reserved on the router is in the DMZ. When I activated the ooma I told it that I would have a landline attached. Since I am bench testing at this point there is no landline connected. The "Play" and "Fast Forward" lights on the hub are illuminated indicating that the hub does not sense a landline connected. The "1" and "2" buttons are also lit, indicating that the ooma Hub is unable to register to the ooma network. To fix the setup.ooma.com issue, disable your anti virus. Some anti virus programs seem to mess with the setup screen. I'm going to assume then that you registered ooma to work WITH a landline. (provision) If so, you must connect the ooma hub from the WALL port on the hub to your landline jack in the wall. It needs to see that connection in order for ooma to go blue. WayneDsr wrote: To fix the setup.ooma.com issue, disable your anti virus. Some anti virus programs seem to mess with the setup screen. That was exactly the problem behind the problem I was having with setup.ooma.com. For reference purposes I'll verify that the problem exists with Kaspersky. I understood the reason why I was getting the red lights indicating that I had no POTs dial tone getting to ooma but I'll confess to being surprised that ooma would not connect and function without it. I guess this means that if my landline telephone service goes down that I'll loose ooma telephone service too. 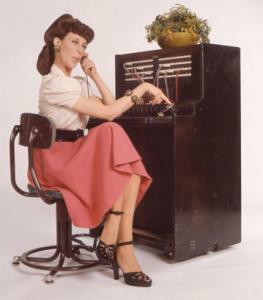 Hmmmm, I just unplugged ooma from the hardwired telephone and on comes the red blinking tab and away goes the dial tone. That doesn't make any sense. I would expect to get a visual indication that the hardwired telephone input is down but since ooma can work without it why disconnect the broadband telephone capability at the same time? Call ooma and ask them to configure your hub to work without a land line and the connection will not be necessary. You will have to select a phone number for the ooma line in this case. As Murphy says: have ooma change your setup, this way ooma will use voip exclusively no landline needed. This way you can test ooma out and still have a separate landline on the other wall jacks. After you do this (your choice) connect the ooma hub via the WALL port to your house wall jack, if ooma or your network go down, your landline will take over. You'll hear a regular dial tone vs the ooma dial tone. I have it set up this way here at home, was going to cancel my number but AT&T made me a good deal keeping a basic landline with dsl. It makes a good backup, but that's about all.